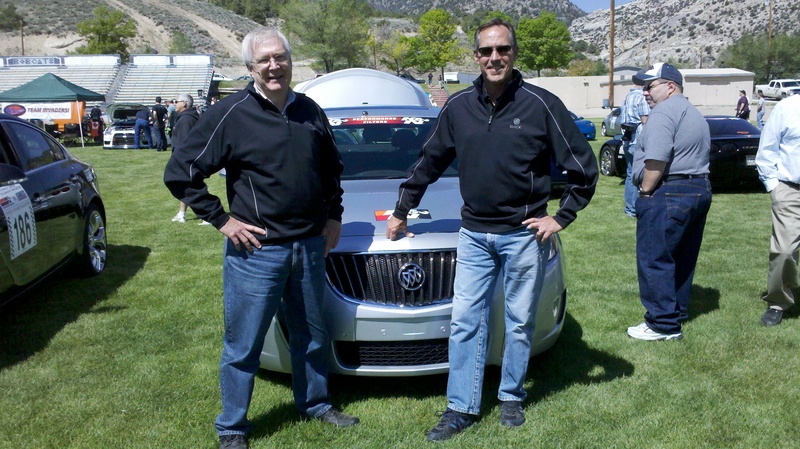 Motorama LIVE raced in the Nevada Open Road Challenge #NORC on May 20th, 2012, as did a GM Buick Factory Race Team. This is our interview at the finish line with Bill Rietow, Buick Lead Product Engineer, telling us all about his run in the 2012 Buick Regal GS in the 135 MPH Class. Bill and his navigator John Townsend won the 120 MPH Class at the Silver State Classic Challenge Open Road Race back in September. Hear Bill talk about how he believes they did today in the 135 Class, as well as how well a stock Buick Regal GS felt racing over 90 miles of 2 lane public highway at speeds up to 161 MPH!